CITY VOTERS WANT 100% JOBS/HOUSING BALANCE FOR BIG WATERFRONT PROJECTS But Our Planning Department Doesn’t! The Result Will Be Up To An 11,000 Unit Additional Housing Deficit In San Francisco! 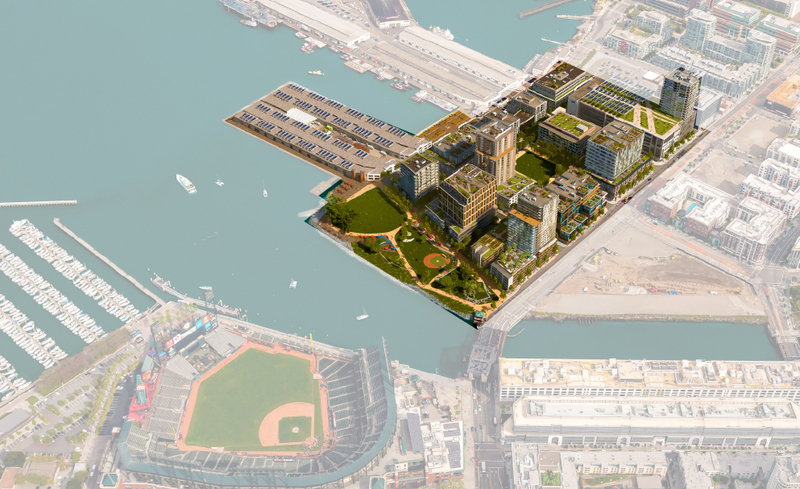 The three major waterfront developments (Mission Rock, Pier 70, India Basin) nearing approval by the Planning Commission this year may add as much as 5 Million sq ft of new office/commercial space, but only as little as 3,600 new housing units on those sites. It takes about 3000 new housing units to provide homes for ALL the future workers in one million sq ft of new commercial space, so about 15,000 new housing units are actually needed (see chart attached)! The Planning Department’s excuse for this total lack of on-site “Jobs/Housing Balance” is that the missing 12,000 housing units would be built in other parts of San Francisco and the rest of the Bay Area. But that is obvious nonsense – it isn’t happening now, and with the even greater amounts of commercial development with even bigger housing deficits in the East Bay and South Bay it can never be possible!! These waterfront sites are perfect for new housing and should instead be required to provide the maximum amount of housing legally possible there (housing is not allowed on State Tidelands Trust land) as a condition of their approval. And City voters agree! In a poll conducted last week by David Binder Research (results below), a 12-point 53% to 41% majority would support a ballot proposition that required this full 100% Jobs/Housing Balance for major new development projects over 10 acres in size in San Francisco, such as these waterfront projects. Very importantly, the poll documents how voters’ support for this grows substantially after detailed information on the pros and cons of such a requirement are presented to them. And it is possible! The three large approved and partly built waterfront redevelopment projects (Mission Bay, Shipyard/Candlestick, Treasure Island) all together achieve a 1000+ unit housing surplus. Because about half of the new housing needs to be affordable to lower and middle-income workers, there is an even greater shortfall in meeting the projects’ workforce affordable housing demand, even though several of the developments offer 30% affordable housing.